Terletsky, Ostap [Терлецький, Остап; Terlec'kyj; pseudonyms: V. Kistka, I. Zanevych, R. Mak], b 5 February 1850 in Nazirna, Kolomyia county, Galicia, d 22 July 1902 in Lviv. Civic and political leader, and literary scholar. A graduate of the humanities faculty at Lviv University (1872) and the law faculty at Vienna University (1883), he played a key role in the development of a populist socialist movement among Galician Ukrainians. 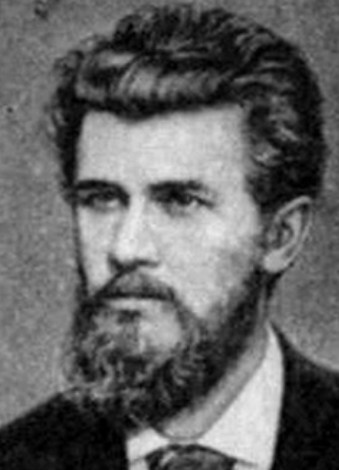 In Vienna he served as president of the Sich student society of Vienna (1874–7) and was strongly influenced by the political ideals of Mykhailo Drahomanov and Serhii Podolynsky, whom he helped to publish four influential socialist pamphlets in Ukrainian. He also wrote economic and political articles for the Ukrainian press, including a blistering attack on old-line Galician populists in the journal Pravda (1874). He was arrested in 1877 along with Ivan Franko, Mykhailo Pavlyk, and others and convicted of membership in a secret society. Subsequently he devoted much of his energy to his law career and his literary research. He published several short surveys of 19th-century Galician Ukrainian literature and wrote economic and political articles. He aided a radical circle in Stanyslaviv in the mid-1880s and became a founding member of the Ruthenian-Ukrainian Radical party in 1890.